Your living room is where you will spend most of your time together as a family and it is also where you will entertain your guests. For this reason, you want your living room to be warm and welcoming. You want to feel comfortable in your own home and you also want your guests to feel the same way. Continue reading to find out how to make your living room cozy for the winter with ceiling tiles. There are two different types of colors when it comes to design: the warm and cool colors. Cool colors include blue and green whereas warm colors include red, orange, and so on. Even shades like brown have that hint of orange which makes them warm too. Gold, bronze, or brass colors are warm whereas white and silver are on the cool side of the scale. So, if you want the room to have a warm feel, you should opt for warm-colored ceiling tiles. Of course, you also need to make sure that the color of these tiles suits the rest of décor in your room. Just like colors, there are so many patterns from which to choose. Some have a more modern style while others are more rustic or country-feel. Again, much like your color choice, you will need to consider the décor in the room before choosing a design for your ceiling tiles. A modern-style ceiling tile can still make a room feel cozy provided it is used in the right way and along with the appropriate colors, décor, and furniture. When you add an extra layer to your ceiling, it’s like putting on an extra sweater in winter. It’s an excellent way of keeping the room warmer in the winter and your heating system will not need to work nearly as hard. It’s important to make sure that you install your ceiling tiles as per the instructions. For example, some tiles are designed to be installed side by side with a sealant added in between to fill in any gaps. Other styles are made to overlap so that they prevent heat loss. Installing ceiling tiles will, therefore, help keep the heat in and make the room that much cozier when the weather outside is frightful. For maximum insulation benefits, it’s important to cover your entire ceiling and don’t forget to add a crown molding too. This is the ideal way to give your ceiling the perfect finish and they will ensure that your ceiling is perfectly insulated too. 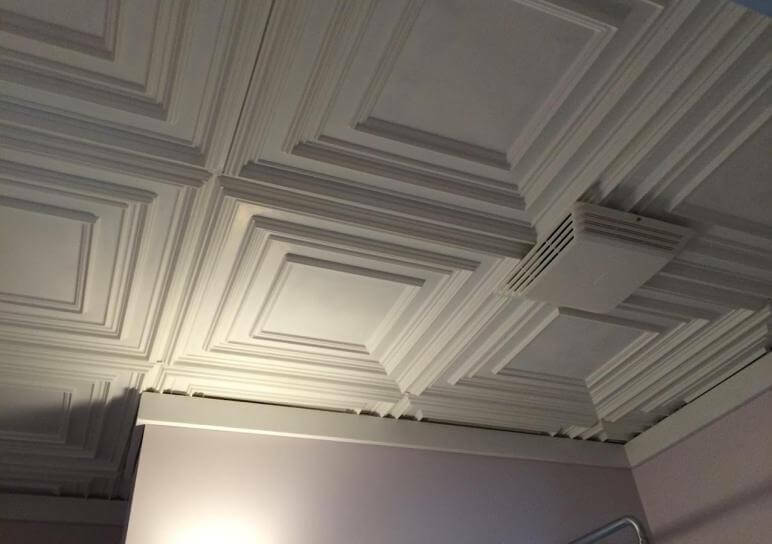 Ceiling tiles are versatile, lightweight, and easy to install yourself without any previous experience. When placing your order, it’s important to calculate the total surface area. While it might be tempting to order the exact amount you need, you should always order at least 10% extra to allow for off-cuts. For expert help calculating the number of tiles you will need, which tiles to choose, or any other advice, contact Talissa Decor at 1 (888) 717-8453. 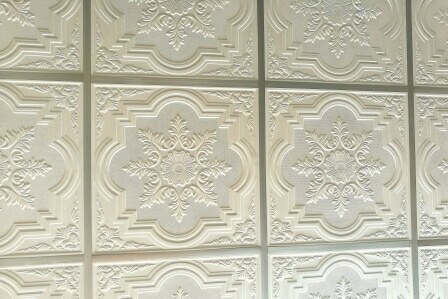 This entry was posted in Ceiling Tiles, Interior Design and tagged Ceiling Tiles, Interior Design. It’s really important to make the room cozy in winter because we don’t wanna keep going cold. We love warm weather and hope your ideas will help me a lot.